Q: Where are we located and do we have a store? 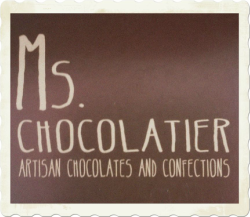 Or you can find some of our confections at these locations. ​Sol Y Luna Baking Co- Facebook page. Our confections are made in a licensed commercial facility which allows us to sell online as well as wholesale. Q Can we pre order before going to the Pearl Farmers Market? A: Send us an email 48 hours before Saturday to insure your product is ready for pick up. Q: Is your facility gluten free and nut free? A; Our commercial facility does from time to time make products with gluten and nuts.